Verification of all of the prerequisites. Installation of the StratusLab administrator tools. Definition of all of the StratusLab service parameters. Configuration and installation of the Front End. 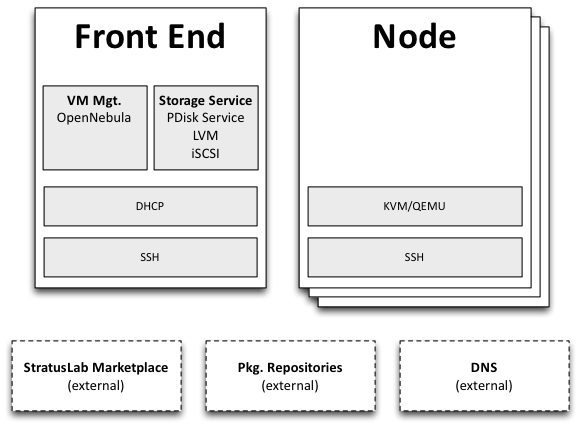 Configuration and installation of the Node. Validation of the cloud installation.